A complete guide to visiting Montana. See what the state's top attractions are, get inspiration on fun things to do, and find helpful planning tips & resources. Come and experience Glacier National Park's pristine forests, alpine meadows, rugged mountains, and spectacular lakes. Often referred to as the "Crown of the Continent Ecosystem", Glacier has over 700 miles of trails and is a hiker's paradise for adventurous visitors seeking wilderness and solitude. Re-live the days of old through historic chalets, lodges, transportation, and stories of Native Americans. If you're looking for powder then look no further! Big Sky Resort is the largest ski resort in the USA by acreage with 5,800 acres and a vertical drop of 4,350 feet. Big Sky is primarily known for its winter activities which include skiing, snowboarding and snowshoeing but it has become an increasingly popular summer attraction too with activities that include zip-lining, paintball, archery, tennis, mountain biking on the mountain and horse back riding available near Meadow Village. A highlight of visiting Glacier National Park is a drive on the Going-to-the-Sun Road. This engineering marvel spans 52 miles through the park's wild interior, winding around mountainsides and treating visitors to some of the best sights in northwest Montana. Portions of the Going-to-the-Sun Road remain open all year and provide access to many locations and activities however the earliest the road is accessible in its entire length is around mid June. Actual date of opening depends on completion of spring plowing which is a feat in itself! Founded in 1963 and located in Butte, the Orphan Girl Mine earned the reputation of being home to the worlds most productive copper mines of all time. The World Museum of Mining exists to preserve the enduring history of Butte and the legacy of its rich mining and cultural heritage and is one of the few museums in the world located on an actual mine yard. With fifty exhibit buildings, countless artifacts, and sixty-six primary exhibits in the mine yard, visitors can spend a couple of hours to an entire day lost in the unfolding story. Be prepared to be stunned at what the miners went through to make a living and you may tour the underground mines with head lamp and all! ​The old mining camp of Nevada City got its start at the same time when gold was discovered in Alder Gulch in ​1863 and was known as one of the "Richest Gold Strikes in the Rocky Mountain West". Nevada City has become one of Montana's biggest tourist attractions with many original log buildings and an outstanding collection of old-time music boxes, player pianos and calliopes. The town is linked to the Virginia City Historic District by railroad. On weekends you can enjoy live interpretation of historic events and experience life in the 1800's. Fun for the entire family! Have you booked accommodation yet? If not then take a look at Bookings.com who have a huge selection of hotels, bed & breakfasts, lodges, hostels and even campgrounds. They have daily deals and discounts so its a good idea to keep an eye on rates. The best thing about this website is there is no booking fee and no charge for cancellations. Search for rooms below. ​A good alternative to traditional accommodation is Airbnb. This site connects you with homeowners who rent out their homes/cabins/apartments to you for a fraction of what it would cost for a hotel room. What we like about Airbnb is you get the chance to stay in the local or non-touristy parts of wherever you are going. And if you're new to Airbnb you can get $40 off your first nights stay! 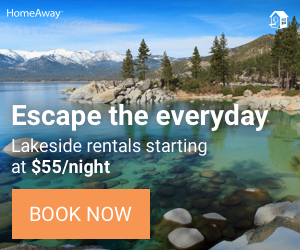 If you would like to book a whole house or cabin to yourself in Montana then you need to check out HomeAway! They have a huge range of vacation homes at really good rates. We had the best experience booking a gorgeous log cabin in the Pacific North-west through this site that really was the ultimate getaway. Have a look and see what you think. 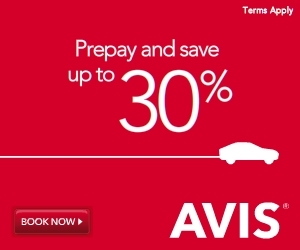 No road trip is going to happen without wheels so unless you have your own vehicle we recommend car hire through Avis. We have always been happy with how hassle free renting is through them and even better are their super cheap rates when you book online. Believe me you will be blown away by how cheap! Even though we have our own van we have chosen to rent for short getaways because it saves us gas money instead of driving our beast. Incase you haven't heard of Skyscanner, this website compares all the different airlines including the budget airlines that a lot of the other search engines miss. This is a great website whether you are flying domestic in the USA or internationally. Search for your to flights to Montana here.